While it's hard to believe, we have just past the mid point of the year. The market has been better than predicted with the number of sales up across the board. The following is a comparison between the first half of this year to the same time period from 2015. We will also give a specific breakdown of sales by price points and offer our commentary. While 2015 was a very good year, 2016 is shaping up to be even better. 1. More homes sales in 2016 vs. 2015. 2. Average sales price is up slightly in 2016. 3. The $200,000-299,999 price point is the "hot" market in 2016. 5. The luxury market is more active in 2016, especially in the $600,000-699,000 price range. As predicted, this year stated off strong with the sub $300,000 price point leading the way. "The beginning of the year should be strong. There are fewer homes currently for sale now ( 85 ) than at this time last year ( 94 ). Low inventories increase demand, and there are a ton of buyers on the sidelines waiting for the right home. When homes start to come on the market over the next 30-60 days, buyers will likely begin snatching up the good ones. It's hard to believe the sub $300,000 market could be any better in 2016, but relatively low rates certainly makes things affordable for this segment of buyers." The 2016 real estate market has been fantastic this year up to this point. Sales have been consistent throughout the last 6 months, even during the colder months. The sub $300,000 market has been booming since 2014. In fact, during that year we saw 51 sales in that specific price point and have seen 61 already in just 6 months this year. The draw of Solon's top rated schools no doubt plays into demand in the more affordable price points. In terms of the luxury market, while the upper end has been a tad slow, the $500,000-$750,000 price point has been extremely vibrant this year. Continued low rates certainly play a major role as well as available inventory. Relocation activity also factors in as executives and physicians are always moving in and out of the Cleveland area. There is typically a lull in the market in the weeks leading up to the new school year. We expect things to pick up after mid August and continue through Thanksgiving. Properly priced homes are consistently selling for, on average, approximately 96% of list price and we don't see that changing. While there is always a rush for buyers to get under contract so they can move before school starts, there are plenty of buyers still on the sidelines. Everyone always asks us "how's the market"? Well, it's started off similar to last year, which was an overall good year for Solon real estate. Here is our First quarter market review, including last months' figures and comparisons to last year. Overall, the first quarter is typically the quietest. Therefore, we don't put a ton of weight on the statistics. Most of the inventory during this quarter is left over from the end of the year and many winter buyers are simply looking for bargains. The heat of the market begins when homes start to come onto the market in March and will continue through July 1st. This date is significant as Solon Schools start in mid August this year, so getting under contract AFTER this date will not allow enough time to obtain financing and move. Obviously, this is more relevant to relocation buyers and those moving to Solon for the first time as they need the Solon address to register kids for school. Local buyers can move at any point during the year without the logistical issues that the other buyers have. As is always the case, updated homes in any price point will sell quickly. The challenge for move up buyers is actually finding their next home. With continued low interest rates and a steady supply of motivated buyers, the housing market should be in line with last year. The following is our 7th annual year in review for Solon Ohio real estate. Here, we will provide a comparison between this past year and 2014 and offer commentary. As an added bonus, we will be adding a new statistic this year, a breakdown of specific price points. 2015 was a very good year for the Solon real estate market. The numbers were very similar to those of 2013. 1. More homes sold in 2015 vs. 2014. 2. Average sales price was lower in 2015 than 2014 due to an increase in sales in the $200,000-299,999 price point. 3. The second half of 2015 saw a tremendous number of sales. 5. The luxury home market is fairly stable. WHY WAS 2015 BETTER THAN 2014? While total sales last year far exceeded sales from 2014, the numbers are a little misleading. The only reason for the large increase is due to the unusually high number of sales that occurred during the 3rd quarter in the sub $300,000 price points. Basically, there were about 30 more sales in the $100,000-$300,000 price points just during this past summer. This was due to an influx of buyers likely moving to Solon for the start of the school year. Many were first-time buyers and move up buyers coming in from other cities. Besides for this, the numbers for 2015 and 2014 were almost identical. The beginning of the year should be strong. There are fewer homes currently for sale now ( 85 ) than at this time last year ( 94 ). Low inventories increase demand, and there are a ton of buyers on the sidelines waiting for the right home. It's hard to believe the sub $300,000 market could be any better in 2016, but relatively low rates certainly makes things affordable for this segment of buyers. Over the years, homes have sold for, on average, approximately 95-96% of the list price and we don't see that changing. Homes that are properly staged and priced correctly up front will sell quicker and for more money. Here is our Solon Ohio Third Quarter Market Report. First, we will provide market statistics for the past month of September. Then we will offer a look at the statistics for the third quarter and compare them to how we fared at the same time last year. We will also provide year to date statistics and break down the luxury market, which is defined as homes that sell for $500,000 or more. While the first quarter started out on pace with 2014, the last two quarters saw an increase in sales compared to last year. 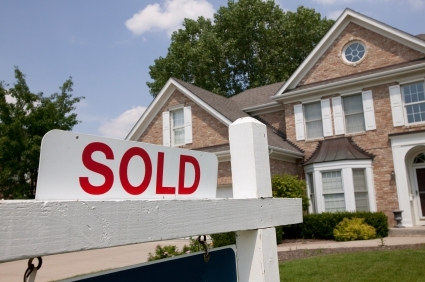 Overall, sales are up in 2015 while the average sales price is down. From the highlighted figures above, one could interpret this to mean that values in Solon have come down close to 10% this year. However, the reason for the difference in both increased sales and lower average price is a direct result of 28 additional homes being sold in the $100,000-$300,000 price point this year. The decrease in demand for luxury homes has also had a negative effect on overall average purchase price. We currently have 141 active listings, about 15% more than we had at this time last year. While we had been screaming for more inventory over the last few years, things have gotten a little bit better, especially in specific price points. Fall is a popular time for sellers to put their homes on the market, evidenced by over 20 homes that have come on in the last 30 days. The fourth quarter can be fairly hectic. Many buyers and sellers would like to avoid moving during the cold winter months, and are thus motivated to get something done during the fall. Fall can be an ideal time for buyers. Homes that didn't sell over the summer are now seeing price reductions as these sellers realize their window of opportunity is limited with winter coming. This is where deals can be had. For sellers, a nice home priced right in any market will sell, especially in the fall. We have seen bidding wars and homes fly off the market recently so a seller with an updated home can expect to sell quickly and for top dollar. The luxury market is the one area of concern based on the numbers. There are a lot of homes in this segment of the market that have been lingering for 150-200 days or more. With the average time on market for luxury homes being around 100, these particular sellers may need to do re-evaluate their strategies because whatever they are doing is obviously not working. On the bright side, a 1.3 million dollar home sold in a matter of days recently, so the high-end buyers certainly do exist. Overall, we expect to finish out the year on a good note and can say with confidence that Solon remains one of the highest demand areas in the state. Please note, the above statistics are merely on overview of the market, not to be used to determine if a home's value is increasing or decreasing. If you are looking to sell or buy a home in Solon and want help determining what a home is worth, we recommend contacting an agent who specializes in the Solon market to assist you. Real estate can be neighborhood specific, requiring an in depth look at sales pertaining to a certain development or geographical area. Here is our monthly market report for real estate in Solon OH for the month of May, 2015. A strong May has pushed overall sales figures for the year higher than during the first 5 months of 2014, albeit by a very small margin. In addition, there are currently 69 homes under contract. We have a decent amount of new inventory and begin to embark on the busiest 3-4 weeks of the summer buying season. Naturally, buyers wanting to move before school starts will want to be under contract by the week of July 6. We expect to see a big rush of buyers making final decisions over the next 30 days, especially right before and after the Fourth Of July weekend. Here is our first quarter market report for Solon OH. First, we will provide market statistics for the past month of March. Then we will offer a look at the first quarter statistics and compare them to how we fared at the same time last year. Finally, we will provide commentary. The numbers above show an increase in terms of home sales from last year, which is always good news. However, the numbers don't tell the whole story. We predicted in our Year In Review 2013, a decrease in total number of sales this year. Based on the numbers above, are we wrong? Last year we saw 303 sales of single-family homes. So far this year, we have had 43 sales and an additional 61 homes are currently under contract. Assuming these all close, that would put us at 104 sales, leaving us needing to sell 199 more homes by the end of the year to match last year's numbers. Is this possible? This is where inventory is so crucial. We currently have 77 active listings. If, best case scenario, each and every one of these homes sells, we would still need 122 homes to come on the market and sell before the end of the year. In order to sell in this calendar year, we would basically need these 122 homes all to come onto the market over the next 6 months. That's a lot of homes in a short period of time. So, as you can see, we have a tall task in front of us to meet last years numbers. Now that I have presented the facts, here is the good news. There are a ton of buyers out there. How do I know this? Agents communicate to each other and get a good feel for what is going on in the market. It is not unusual to get 15-20+ showings on a listing. Some price points are even more competitive. Since only one of those showings will lead to a sale, the rest of the buyers are out there, waiting. That's a lot of buyers. In general, we have a very strong real estate market here in Solon. Nice homes, and I emphasize NICE ( updated, properly Staged, well-maintained...) will sell quickly. However, buyers are still fairly picky. They will pay a very fair price for a nice home. They will not overpay for an average home. They may be motivated but they aren't foolish. For sellers: I would highly recommend making sure your home is positioned to sell. If not, you will simply be helping your competition. There is no excuse not to sell in this market. For buyers: If you find a home you like, odds are that other buyers will feel the same way, so make an offer immediately. If you have been sitting on the sidelines for what seems like forever, waiting for that one perfect home to come up, please read this: the perfect house doesn't exist. You either aren't motivated to buy or have unrealistic expectations. You may want to re-think your game plan moving forward.